Aluminum is used to create different products: drinks cans, airplanes parts, automobiles, laptops and mobile phones, etc. Its production process did not change much in the last two centuries, and still nowadays it is very polluting. About 280,000 cubic meters of gases are emitted to get one ton of aluminum, and every year 0.4 billion tons of carbon dioxide are released in the atmosphere to produce this metal. For this reason, factories are equipped with systems that direct toxic compounds into gas treatment plants. Maintaining such systems clearly implies a production cost that can affect the company’s overall ability to produce more. Removing carbon dioxide from the production process would help to reduce CO2 emissions and production-related expenses. The first step to obtain carbon-free aluminum is developing a material to be used in place of carbon-rich anodes, which are at once essential in the smelting process and the main cause of aluminum-related pollution. In the last few years more and more researches have been made on different materials, such as ferrites, oxides and metal powders. The new kind of anodes -called “inert anodes”- produce pure oxygen instead of carbon dioxide, and in theory they could be used endlessly since they are non-consumable. Their usage can contribute to cut PFC and greenhouse gases emissions, as well as energy consumption. The costs linked to such cutting-edge technology are not known yet, and one of the main challenges will be producing cheap inert anodes as the greatest advantage of traditional ones is their low price. The usage of new materials in the smelting process would revolutionize the aluminum market. Overall, aluminum producers would be able to produce more and in a more sustainable way while cutting production-related costs. In China, a country that is showing commitment to protect the environment and reduce pollution, metal producers could easily meet the standards set with the recent green energy policies. Carbon intensity would plummet, and there would be no need to produce carbon in order to manufacture traditional anodes. Shanghai Metal Corporation can offer sixteen different aluminum products, spanning from aluminum bars and aluminum foils to material for pharmaceutical packaging. 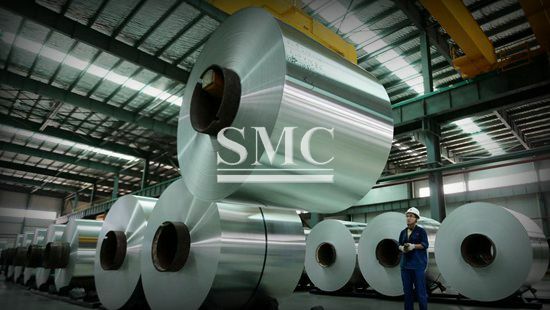 SMC uses only the best equipment available in the manufacturing process and knows the importance of innovation and technological development. For more information and inquiry, or if you want to have a full list of products, please click here.